Imported automobiles should become cheaper on the Russian market after the country's ascension to the WTO. Source: PhotoXPress. After 18 years of negotiations, Russia finally joins the ranks of the global trade club. Russia has finally closed the book on its campaign to accede to the World Trade Organization, becoming a full member after 18 years of talks and the scandalous ratification of the accession treaty in the final stages, accompanied by protests staged by some State Duma members and businessmen. Now that it enjoys the status of a full member of the organization, Russia is entitled to take part in making the rules for global commerce. The country bids farewell to its inconspicuous status as an observer and will enjoy lower customs duties, from which Russian exporters of metals and chemicals will be the first to benefit. “In recent years, Russian exports have not only failed to diversify, but actually deteriorated. We haven’t approved a single strategy for promoting export. The WTO accession is the first significant measure to promote Russian export,” said Natalia Volchkova a professor at the Russian School of Economics. The country’s accession to the WTO will also force Russian market players to adapt their conduct to the global marketplace. Experts hope the impending change will encourage businesses to operate more transparently, as their activities will be monitored not only by the Russian authorities, but also foreign representatives. “The expected stabilization of trade policy will make Russia more appealing to foreign investors,” Volchkova said. Troika Dialog analysts believe that the consumer services sector will also benefit from Russia’s accession. The import duty for this sector is projected to go down to an average of 10.3 percent from the current 13.3 percent. Furthermore, import restraints will be mitigated, including those applied to foodstuffs. At the same time, other sectors, such as finance and telecoms, will take some time before seeing the first WTO accession benefits. A World Bank study has revealed that accession to the WTO will also result in higher wages for both low-paid workers and highly qualified personnel. World Bank specialists attribute this to the fact that new foreign companies seeking to open offices in Russia will have to recruit staff from both categories. In any case, import duties will be reduced gradually and this will enable manufacturing companies and farms to adapt gradually. The average tariff is currently 9.5 percent, but it will be cut to 7.4 percent in 2013, 6.9 percent in 2014, and about 6 percent in 2015. By 2015, it will have been slashed by 3.5 percent. The financial pessimism is partially offset by World Bank forecasts. According to the Bank, the accession will help Russia increase its GDP by an additional 3.3 percent (a total of $65 billion) within three years and 11 percent ($215 billion) within 11 years, and this will be long-lasting growth. Russian specialists are less optimistic. Russian School of Economics experts project that the membership of the WTO will provide an additional GDP growth of 0.5 percent annually. Overall, Russia’s rights are far from infringed in the WTO. The country has successfully haggled over the terms for access by foreign bank branches to Russia’s domestic market: foreign banks will only be able to operate in Russia via Russian subsidiaries registered and controlled by the Central Bank. The gas issue has also been resolved favorably, as the 30 percent duty on natural gas remains in place. Russia has also successfully negotiated transition periods, with long “acclimatization” timeframes for the automotive industry, agriculture and insurance. “Russia has got itself quite a favorable framework, and our task now is to be active and seek benefits not only as an individual country but also to make friends with the economies with which we share the same interests. For instance, we are interested in the countries that have minimum support for their agriculture, including Australia, New Zealand, Canada and Latin America. This group is most interested in the fastest possible abolition of agricultural subsidies. We must join them and seek cancellation of subsidies together,” said Alexei Portansky, a professor in the global economy and international politics department at the Higher School of Economics. Transition periods to liberalize market access rules are from two to three years, but may stretch to five to seven years for sensitive goods. 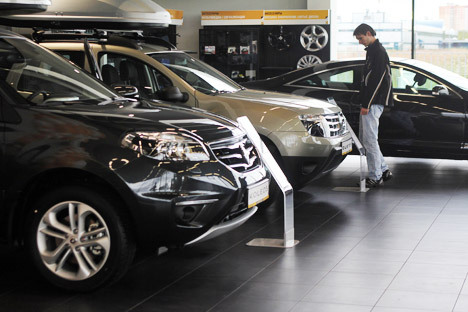 Russia’s ratification team included the automotive industry, agribusiness, farm machine building and light industry in the group of sensitive industries that might encounter economic and financial difficulties because of the new accession terms. Market players believe that the sensitive sectors will lose tens of billions of rubles annually as a result of the accession. Swine breeding alone might lose up to 20 billion rubles ($630 million). “The sector suffers because of the lower customs duties – they will fall to 11 percent from 15 percent on average for farm products. When it comes to pig breeding, we expect a reduction to 0 percent from 15 percent within quotas and to 5 percent from 40 percent on live animals,” said Yury Kovalev, head of the National Pig Farming Unio. The original Russian version of this article can be read at RBC Daily website.